The Challenges of parenting children with autism spectrum disorder are irrefutable. Modern day parenting keeps you on toes addressing various needs of your child and balancing your work life and family life. This constant juggling and multi-tasking that we end up doing make us emotional and mentally drained and physically exhausted. Consequently our hectic schedule and emotional, physical, mental bankruptcy has harmful effect of our children, thereby causing more harm than benefit even though we go beyond limits as parents to ensure we do our part best. For those of us who are not aware, Autism today is considered as one of the most common developmental disability for children. It is a neurological disorder that affects social interaction and verbal as well as non-verbal communications. It is characterized by problems in social interaction, repetitive behaviors which can be detected as early as six months till about 2-3 years of age. Autism has no cure and this is a hard fact. However with regular and timely intervention no doubt it helps children to reach their individual developmental milestones. Parents of autistic children often feel frustrated with therapies as they don’t see immediate results. Their frustrations and anger only aggravate the issue. There are many things that they need to learn to deal with and everything needs time. But do you know that your life and your child’s life can undergo huge transformation by following one ancient Indian proven and tested spiritual practice? Yes, that’s Yoga. The word Yoga is taken from a Sanskrit word which means to unite. Yoga unites your body you’re your mind. It is a self-care, self-healing system that empowers and enriches you from inside out. Yoga is a physical activity that focusses primarily on self-development and self-renunciation for attaining physical and mental bliss and balance in life. While the results of doing yoga cannot be immediate in one sitting, it has longtime health benefits beyond doubts. Yoga is a self-healing and self-caring system. The practice of yoga daily enables you to stay positive and motivated. Most importantly it helps you to know yourself and love yourself. When you actually learn to love yourself, you would no doubt spread that love and positivity to your family and especially your children. The family bonding and love would strengthen and you feel like a complete unit as a family. Did you notice a ball bouncing on a hard surface? Imagine hard surface as your difficult situations and challenges. Whenever the ball hits the hard floor, it immediately bounces back. It never gives up. Similarly while doing yoga when you constantly strive to achieve a particular position, you learn not to give up and that trying helps you to gain back your inner strength and self-confidence making you accept your challenges. Yoga is very effective to enable you to accept yourself and your situations as they are. It makes you free from all judgments whether it is your own self or the society or environment. When your child behaves in a particular manner due to his or her disorder, you end up accepting him or her and learn to deal with the outside environment with confidence. Practicing Yoga daily at a proper time keeps you focussed and in the process ensures discipline in your life. This discipline is very important as it helps you and your family achieve individual and family goals together as a team. 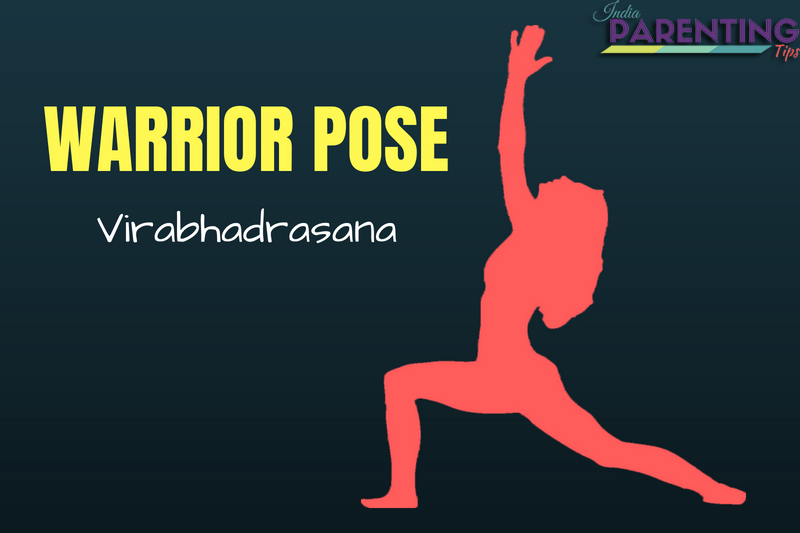 This pose strengthens your muscles and gives confidence like a warrior. Stand straight with your feet together and back straight. Take a big step forward with right leg and bend your knees. Take a deep breath (inhale) and move both your arms upwards and join the palms. Exhale and then slowly move back your right leg and bring your arms down. Repeat the same with left leg. 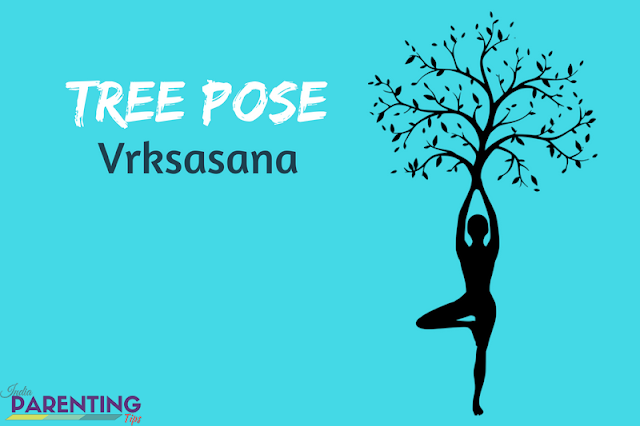 This pose helps to develop proper concentration and balance. It also strengthens muscles of thighs and calves. Move both the arms let the palms touch. Lift the left foot and let it touch the right thigh bending the knee. Look upward towards the sky. Practice deep breathing and repeat with another leg. This position is highly recommended for children with Autism, ADHD and other developmental delays as it effectively calms the mind and relieves stress. Slowing bring both your arms down while exhaling air bending your waist and let the arms touch the floor. Again raise back and repeat the same for 5 times. 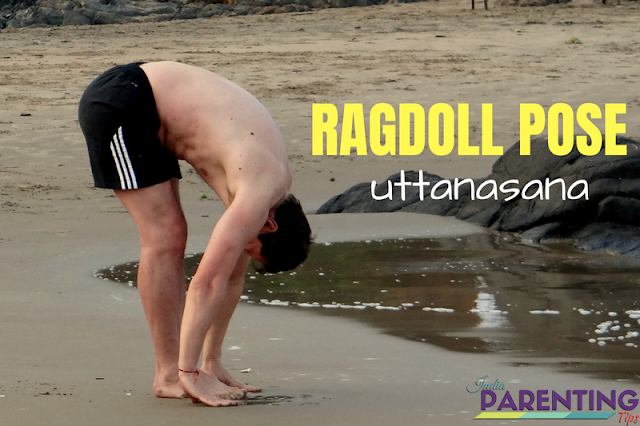 This pose strengthens the neck and messages spine and also internal organs. Kneel on the floor with hands and knees like crawling position. 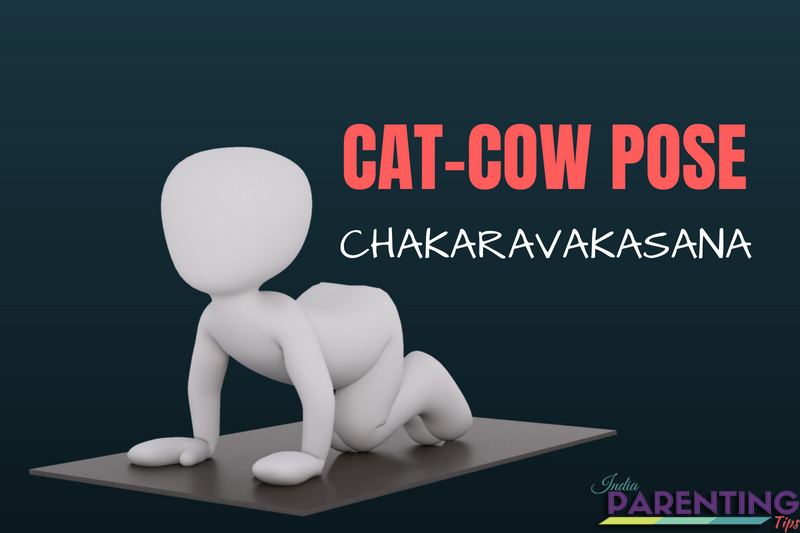 When you inhale air, let your belly fall towards the floor bending down and lift your face, look up and moo like a cow. Now when you inhale to make sure you arch your back facing towards the ceiling just like a cat and look down this time and simply meow. You may repeat as often as you want as children enjoy doing this yoga a lot. Remember that you deserve to be happy and love yourself. There is nothing wrong with that. Ensure that you practice yoga with your family and especially with your child. You may choose to play along with some nice soothing music or musical instrument if that calms and smoothens the environment. Practice Yoga daily and learn the art of loving, caring and nurturing yourself and your child. 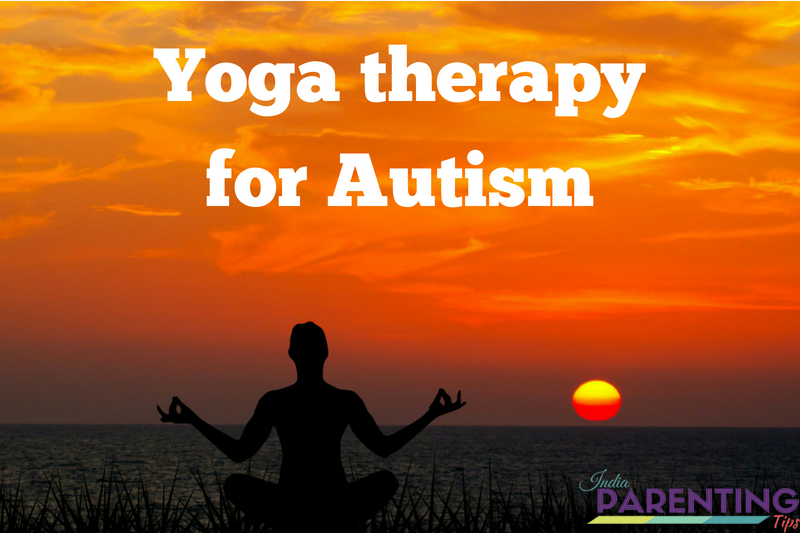 Autism and yoga are a great combination if you know how to work it together. If you find my blog post interesting, do check out my blog post on Autism too. All about Autism | Symptoms, Causes & Cure.